EVENTS USA Receives the Women’s Business Enterprise National Council Certification. Washington, DC, January 28, 2019. EVENTS USA, a full-service corporate event planning company based in the Washington, D.C. Metropolitan Area is proud to announce its national certification as a Women’s Business Enterprise (WBE). 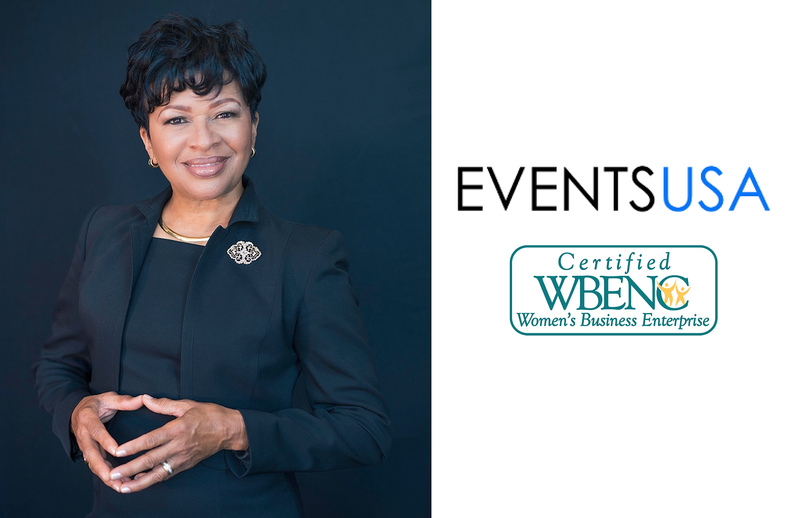 Carolyn E. Howell, President and CEO states “EVENTS USA is thrilled and honored to receive the WBENC certification, this prestigious certification allows companies and organizations access to our dynamic services. We believe that any corporate event should strengthen a company’s culture, thereby contributing to its bottom line. Access to the quality of the customized corporate event planning services we provide achieves that while allowing clients to reach their diversity initiatives as they continue to develop of their supplier diversity programs”. nationally, offering a wide array of options for Company Celebrations, Executive Retreats, Formal Dinners and Receptions, Client Appreciation Events and Mega Celebrations. The WBENC certification is one of the most widely recognized and respected certifications in the nation. Accepted by hundreds of corporations as well as federal, state, and local government agencies, WBENC certification is an important marketing tool for expanding a company&#39;s visibility among decision makers in corporate supply chain diversity and procurement organizations. WBENC is also an approved Third-Party Certifier for the United States Small Business Administration (SBA) Women-Owned Small Business (WOSB) Federal Contracting Program. Founded in 1997, WBENC is the nation’s leader in women’s business development and the leading third-party certifier of businesses owned and operated by women, with more than 13,000 certified Women’s Business Enterprises, 14 national Regional Partner Organizations, and over 300 Corporate Members. More than 1,000 corporations representing America’s most prestigious brands as well as many states, cities, and other entities accept WBENC Certification. For more information, visit www.wbenc.org .